I can only kick off the download and go to work. At least I (hopefully) won't have to wait for it when I get home. Edit: Of course my order still says "Processing Pre-Order", but it lets me download, so I guess that's good enough. ........and D/L done! Only took 5 minutes, but I have to leave. It won't let me download yet, the download icon is still grayed out. I take it you mean downloading the launcher, and not downloading the game through the launcher? OK so you have to download the launcher first by downloading the combat training. Maybe on point 1, but they have been iterating a lot the last week. Maybe on point 2, but I expect they will patch exploits quickly and deal with those accounts individually. You can also ban players from your own game. You'll not hear or encounter them in SC or normal space instances. On 3, I very much doubt this. The entire galaxy sim, mission generation, and all transactions happen on the server. Your game would grind to a halt. Best someone could do is to create a fake server on localhost to handle the buy/trade/mission functions, but they would be creating all of that from scratch. Might be a cool modding opportunity though! The launcher I have has two options, one for the combat missions, the other for full game - maybe give it a try? EDIT: Or did you mean you've already got the launcher, but it doesn't let you DL the full game? Wow, really small download. Guess Gamma was basically release. Launched the game and it says v1.00 so it must be ok. I have a link on my account to download the game, that doesn't work. I have the option in the launcher to download the full game (doing so now) but I can only download the launcher through the combat training training link. There was no indication that this is how I had to download the game. I never downloaded the combat training module before so I didn't have the launcher. Docked at Lave Station. Gonna find a decent trading patch within 50ly. Lave is one of the more interesting trading patches, actually. I don't know how it is starting out, since I worked my way across Fed space to get there. But there's a reason I have my hauler parked there. Well I've got a Cobra with 32 tonnes of space and mostly C and D class kit parked there now. I'm sure I'll find some good trading. That's what I did; went ahead and snagged it last night for the preorder bonuses, because I knew I would get this sooner than later. I remember the same claims being made about SimCity, so I'm rather dubious about this claim for Elite as well. I've just refitted my hauler to have 22t of cargo space. I'll have to head over there too. So is the company website the only place you can buy this? Not Amazon or Steam or anything like that? Did we ever settle on a "GWJ Home System"? I missed it if we did. Yeah, if you even have the passignest interest and aren't completely on the fence, it's the way to go. Yay! Also guys, don't forget we'll be streaming the game for our podcast tonight as something of a launch party. IF y'all would like to join us, PM me. We'll find out. I think the big difference is that Stellar Forge, the procedural system generator, runs on the server rather than the client, so right off the bat it's going to require more than a config file edit. Of course, there are plenty of grey servers for even thin-ish-client things like WoW and Everquest, so it's probably not impossible. 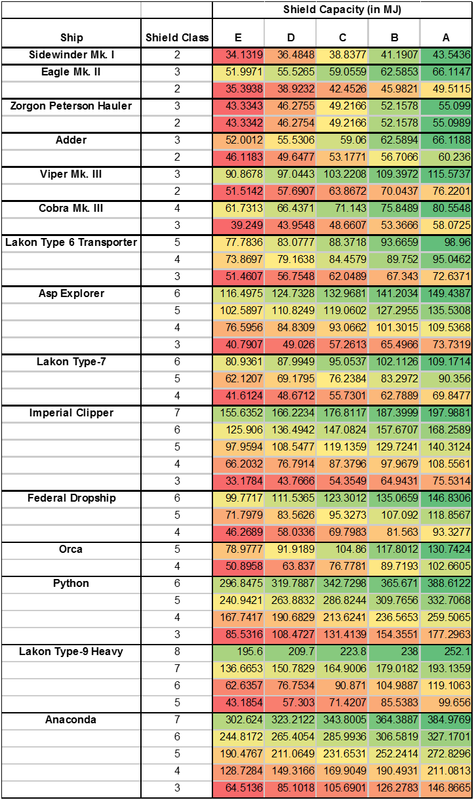 Correct, elitedangerous.com is the only place, for now. Nope. I've been hanging around Lave, and I think Veloxi has been around I Bootis. Someone suggested that somewhere near the founder's system might be a good place to start, though I'm still not sure exactly where that is. I'm not sure where the founder's system is either, though I have a permit to go there. I've been around i Bootis/LHS 3006 a lot my own self. How's things in Lave, Gremlin? I'll flip a coin and maybe see you guys in that area as soon as I can get there. Well, the podcast stream tonight will begin in i Bootis, so if you'd like, you can join us there and head to Lave later. 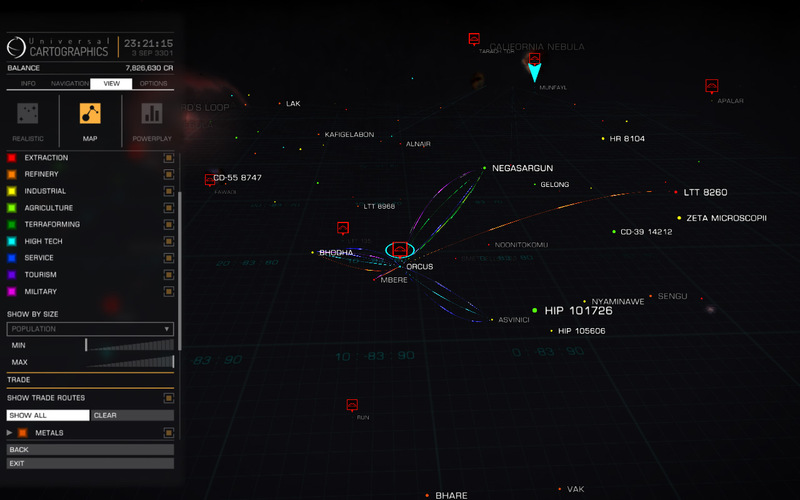 I Bootis isn't that far from Lave, once you can do 10-15ly jumps. I plan to head to i Bootis this evening for the festivities. I've yet to deliberately join up with anyone else, so we'll see how it goes. I like the Lave area because you've got Federation and Alliance systems fairly close, plus there are five or six systems with rare commodities nearby. The founder's system, Shinrarta Dezhra, is about 57ly from Lave. I see several systems near there that look interesting, at least. If someone wants to hunt around there for a good base, I'm up for basing near there. What's the founders system permit requirement? Alpha backer? I assume the rest of the thread will just be Veloxi's incoherent screams of joy. Beta, I think? Maybe gamma? Check your list of permits, you may already have one. The original suggestion, though, was to find a system near there, so it'll be open to everyone down the road. It's fairly close to a midpoint between Alliance, Imperial, and Federal territory. The ideal freeport would probably be Independent or Alliance, since the Feds and Imps may take exception to some of our members sooner or later. That's inconvenient. Sure wish they had expanded to Steam. Can't even buy it on Amazon! Yay, downloaded the game remotely from work, and got in about 15 minutes of play between getting home and heading out again. Managed to do the launch and docking tutorials (amazed myself with nailing both on the first try, even if take off was a bit wobbly). Really hoping I get home back home in a reasonable hour so I can get a couple of hours of actual game in. I shot out some friend requests, feel free to shoot them my way as well, Tamron in game as well. Yeah, I'll be watching here to try to start with the GWJ crowd when I get playing this!